Account-based marketing is the dominant trend in B2B marketing today and has been used successfully by many companies to greatly increase their marketing efforts. However, as with any fast-growing space, there are lots of inaccurate stories and misleading claims that create confusion and hurt results for users. 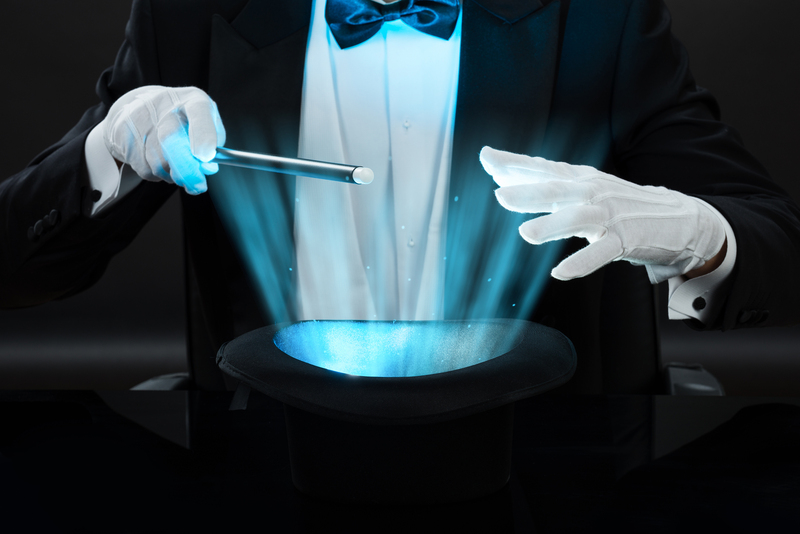 The technology for ABM can be complex and the end results can sometimes seem magical so it's important to be aware of the state of the industry today. After spending last year building the B2B intelligence graph at Instinctive, I know exactly how the sausage is made. I know what’s possible at scale, what technically can be done and what is just straight up baloney. So let’s go through all the major marketing claims in the account-based marketing and visitor identification space. ‍Does the platform have direct access to your visitor’s IP address? 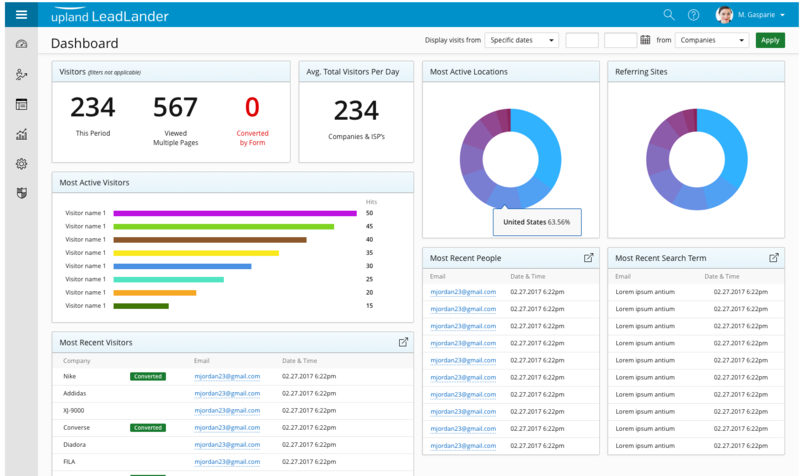 ‍There are a slew of sales intelligence tools that do not have direct access to your visitor’s IP address. 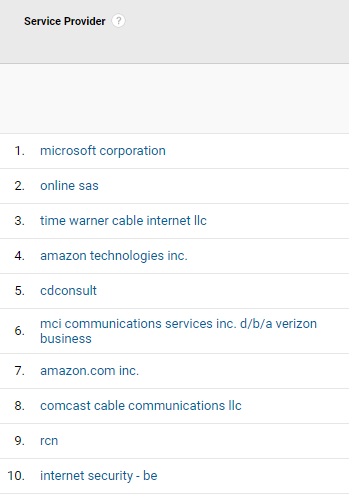 These tools are basically doing a fuzzy match against Google Analytics’ ISP network name data. This leads to mismatches especially when network names are generic or non-descriptive. These tools also have no reliable way of filtering out data center traffic from actual corporate traffic, and instead are just a view of your Google Analytics report, which you can pull yourself for free. In the example below, actual Microsoft employees were not visiting our site repeatedly but rather the traffic was a server from Microsoft's cloud scraping our site. ‍Does the platform have access to raw network intelligence and is capable of constantly correcting their IP data set? Many B2B solutions are simply licensing their IP intelligence data from the same IP data vendors, delivered as a limited database file or API. There’s nothing inherently wrong with this approach but issues arise when new or incorrect entries are discovered and are unable to be fixed. Without access to the raw dataset, it is also impossible to verify the accuracy or precision as IP vendors are not designed nor able to deliver account-level insights. Our IP intelligence graph is adjusted continuously and it can be a messy and tedious process despite working with well-defined processes and schemas. ILLUSION. While most companies won't make the claim outright, they'll imply the functionality through vague wording about "full contact information" and deceptive screenshots. I can tell you the only companies that can technically do this at scale: Google, Facebook, LinkedIn and some of the larger ISPs. The chance that these massive companies will reveal the identities of their users to an outside marketing company? None. This is not how the internet works. What actually is possible is something called visitor re-identification. Somebody first comes to your site, fills out a form and provides you with their contact information. Then when they come back to your site later on the same device, you know who they are. It's effective in engaging returning visitors but far from the magical identity reveal of every single user that is often claimed. MOSTLY ILLUSION. As a B2B marketer, you might be tempted by the promise of only targeting C-suite executives and SVPs but the problem is that outside of environments where people declare that data willingly (such as LinkedIn or Facebook) it is really hard to tell that someone is an executive rather than an entry-level manager. Executives aren't the only people who are reading the WSJ and there is no "SVP Daily" publication so how would you separate them out from middle management? The idea that C-suite executives are the only core decision makers that matter is also a dated one. To quote LinkedIn, "Consider targeting senior individual contributors (ICs). Increasingly, ICs have a large say in buying decisions." What is more behaviorally predictable are certain job functions and industry interests. Somebody reading about technology trends every day is more likely to be an IT decision maker and someone reading medical news is more likely to be a medical practitioner. Solutions that rely on matching known offline identities to online pixels that come from companies not named Google, Facebook and LinkedIn have an awful time being remotely competitive with these platforms. For B2B, Facebook and Google quickly become a tricky duo when matching corporate identities to personal ones, especially if your clients have common names. This is to say nothing of the privacy implications of purchasing names, phone numbers, addresses and other PII without the end-user's consent for the purpose of running a more efficient ad campaign. The technology works by placing pixels on trade publication websites. Some sectors, such as IT and finance, have a much more robust trade press than others due to the pace of change and the economic impact their industries wield. For instance, I highly doubt that there's a ton of coverage on parking lot gate manufacturers. After internet traffic is logged and collected, it is diced out by IP address ranges and possibly cookies that are tied to specific companies. As I mentioned previously, the further removed you are from the raw data, the less control you have over its accuracy. After carving the traffic by ranges, this technology has to then accurately process the semantic meaning of the article. This is especially tough in a B2B context where the AI being used to extract these words has to first understand the terminology and company names of each industry. So what's the end result, you ask? In theory this could work for large companies in press-heavy industries. If your space is not constantly being written about then there is no data to collect. If you're going after SMBs then there's probably not enough coverage (if any) for these signals to be reliable. As marketers, we have to remember to keep things simple. If it's too good to be true, then it probably is. The ability to figure out which companies are visiting your site and the ability to reach back out to them with targeted messaging is magical to begin with. Let's work on harnessing what works before we search for fantastical solutions to simple problems.